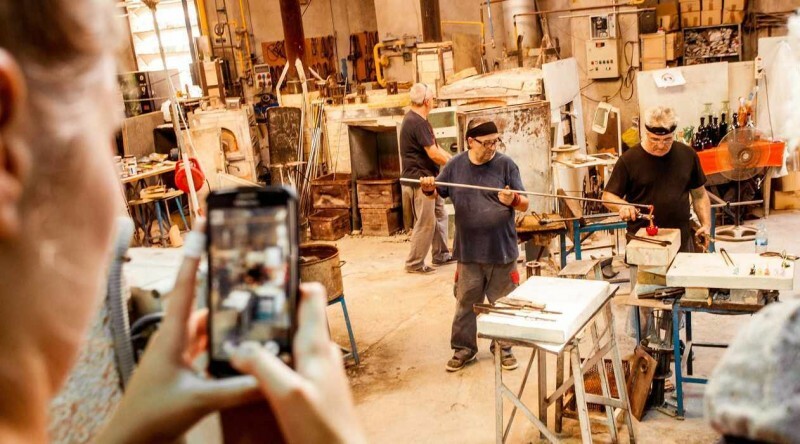 Discover the very best of Barcelona in a 5 hours tour. 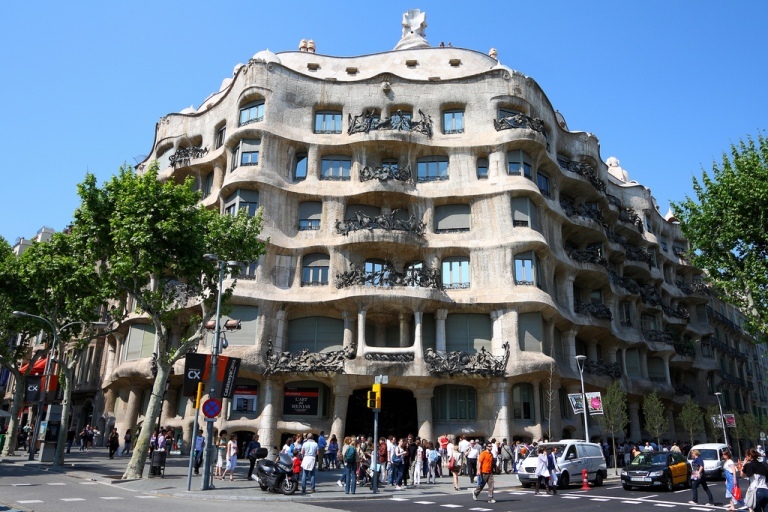 Get an overall picture of Barcelona’s multiple personalities starting with the genius Gaudí. 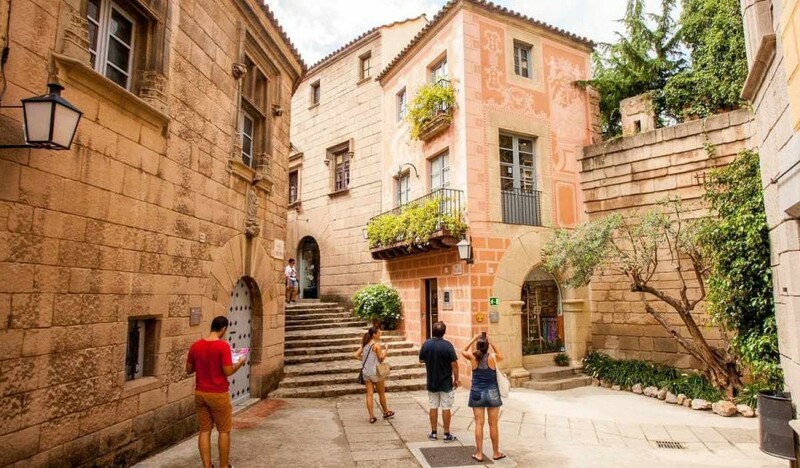 You will have fast track entrance to Sagrada Família, drive along the waterfront, say hello to Columbus Monument, stop for spectacular views in Montjuic hill and visit Poble Espanyol – The Spanish Village – where you will have about 45 minutes to have lunch and wonder around. When: Daily at 10 am all year round; and 12:30 pm except Sunday, from April to 3 November. Price includes: Includes entrance fee to Sagrada Família (worth 18€) and Poble Espanyol (worth 14€). Itinerary: Plaça Catalunya > Passeig de Gracia with Gaudí Houses (Façade of Casa Batlló and la Pedrera) > Eixample > Sagrada Família (guided visit + free time) > Arc de Triomf > Port Vell> Colombus Monument > Gothic Drassanes (shipyards) > World Trade Center > Montjuic Hill (Miramar Look-out) > Olympic Ring > Poble Espanyol with about 45 min. free time for lunch > return to Plaça Catalunya. Barcelona looks out to the sea with a that is the first thing you will see when driving along the waterfront. Take special attention to the Port Vell, Barceloneta neighborhood and some amazing historical buildings like the Gothic Shipyards (Drassanes). There are also many bars and restaurants, you will have about 45 minutes to wonder around and have a light brunch. 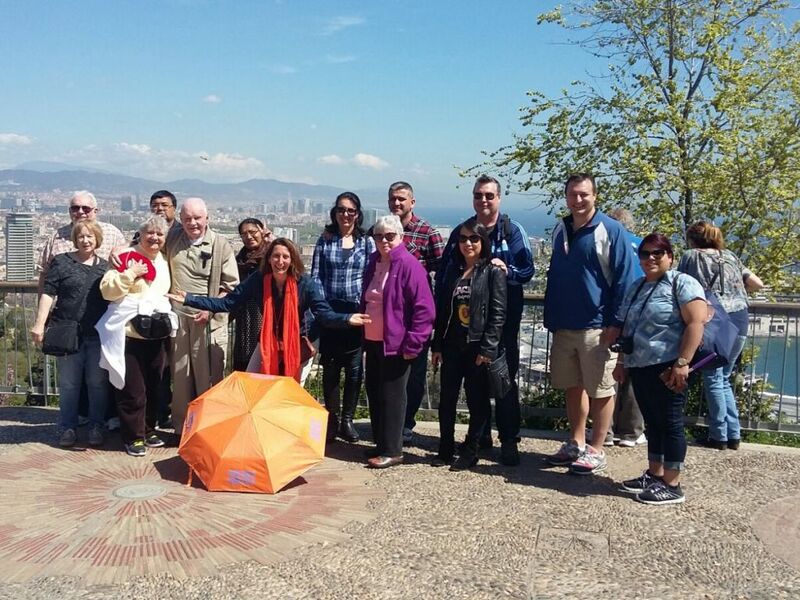 Afternoon: Starts at 12h30 with Montjuic & Poble Espanyol – consider you will have time for a light brunch – and at 3:15 pm you will set towards Gaudí and Sagrada Família. In this case you can stay as long as you like at the Sagrada Família and there are normally less people than in the morning. This is also a neighbor-friendly measure. We are not loud but talk softly through the radio-guides. No reimbursement if it is less than 24 hours before the starting time. You can change the date free of charge up to 1 hour before the starting time. Tanya did an excellent job discussing the details during the Barcelona highlights tours. It was raining, so lines were long to get into Sagrada Familia, but we were able to get in quickly. The earpieces were very helpful to be able to hear in the cathedral, as there were many tourists and construction noise. I felt that the bus tour covered all of the top-tier sights in Barcelona. It may have been nice to have more time in the Cathedral, but it was a full 5 hours of touring. My husband and I really enjoyed our day tour. We had tour guides Amaya and Irini- both guides were exceptional and very informative. We enjoyed the beautiful sites of Barcelona! We got to see in detail La Sagrada Familia, and learn of its colourful history- breathtaking. I only recommend that the company invests in newer transmitter radios for the tours as a few people had theirs cut out or not sound clear- quality was poor. Other than this, everything was PERFECTO. Visited March 2016. Reviewed on tripadvisor by AnnMarie C.
"Make the most of your time in Barcelona" 5/5 stars. We were fortunate to have Sonia Crespo as our guide for a couple of days. She is knowledgeable and friendly, and opened up this wonderful city to us in a memorable way. I hope to return to Barcelona again before too much more time passes, and would definitely look to have her as a guide again and explore even more. The Barcelona All Highlights tour combines the Sagrada Familia church in the morning and Mont Juic/Panorama tour in the afternoon. I highly recommend this tour although it may not be for everyone, as I explain below. Sagrada Familia is an amazing must-see sight, and the tour gives you fast track entry, a lively and knowledgable guide, and takes care of transportation without having to worry about parking or the Metro, all of which is well worth the price above the entry ticket alone. Our guide's English was very good and she gave a lot of details of the history and design of the church. The afternoon part of the tour covered many of the significant sites in L'Eixample (the "expansion" part of the city built between 1850 and 1900) and Mont Juic (site of the 1992 Olympics and several museums). The tour does not cover the Gothic quarter because the streets are too narrow for buses, but you can walk the Gothic quarter in a couple hours and see the major sights. Between this tour and a walk through the Gothic section, you should have a pretty good list of things to visit in depth during the rest of your stay. I said the tour might not be for everyone. The Sagrada portion includes some free time to look at the museum and the gift shop, but it may not be enough for you if you are really into architecture or religion or photography. 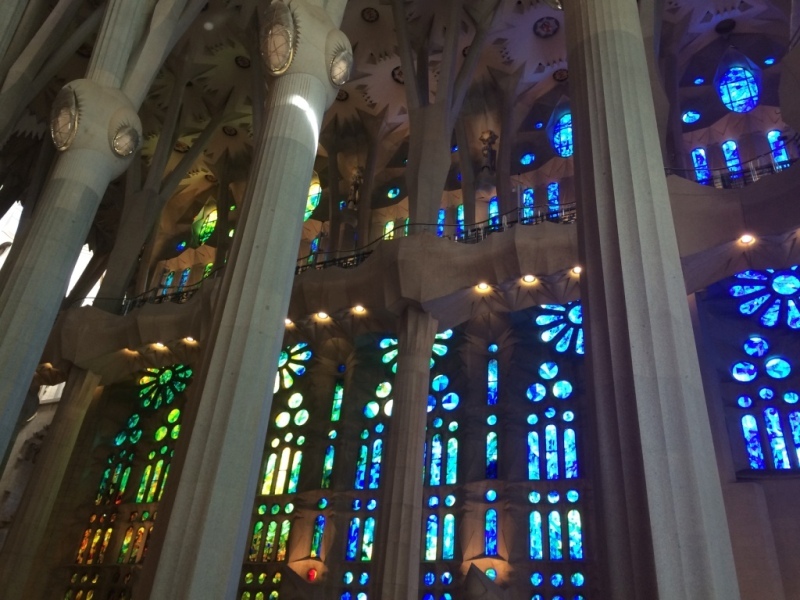 I think the tour has done a good job of giving enough free time for most people but if you think you might want to linger, I suggest taking the Sagrada solo tour, and skipping the bus ride back. You can stay as long as you like and make your own way home via the metro. The second part of the tour stops at Poblye España, which is a group of model buildings copied from all over Spain for the 1929 International Exposition. So it's an exhibit for tourists, but a historical one. You have time here for lunch and shopping but again, probably not enough time if you want to hit all the stores or want to experience all of Spain through the eyes of a 1929 tourist. Overall, this tour is an excellent introduction to Barcelona. I took the Sagrada portion twice (for reasons of my own) so a shout out to our guides Tiana and Noemi and drivers Jesus and Carlos. Thanks for the great tours! Our guide, Mariona, was knowledgeable, funny and charming. Her knowledge of the history of all the areas that we went was excellent. Very professional, ran according to schedule. We have to commend Barcelona Guide Bureau and their guide, Laura, for providing us with a wonderful day touring Barcelona. We took the tour that combined a visit to Sagrada Familia with a tour of the City. The five hour tour was excellently managed as we arrived at Sagrada Familia early in the day when picture taking was perfect. The later tour of the City provided an excellent overview of Barcelona. Our guide Laura was excellent. She combined terrific local knowledge with a wonderful sense of humor to keep us interested and involved throughout the tour. She is also an excellent picture taker, so be sure to ask her to take a family picture in front of some sight. We did the Barcelona Highlight Tour and it was outstanding. The tour was on time the entire day, the bus was clean, the driver was safe and courteous,but most importantly, our Tour Guide, Oliver, was wonderful. He spoke perfect English, was extremely knowledgable about all of the attractions that we visited, he was funny, however the reason he was so good was due to his pride and passion for his city. This was the reason we enjoyed the tour as much as we did. 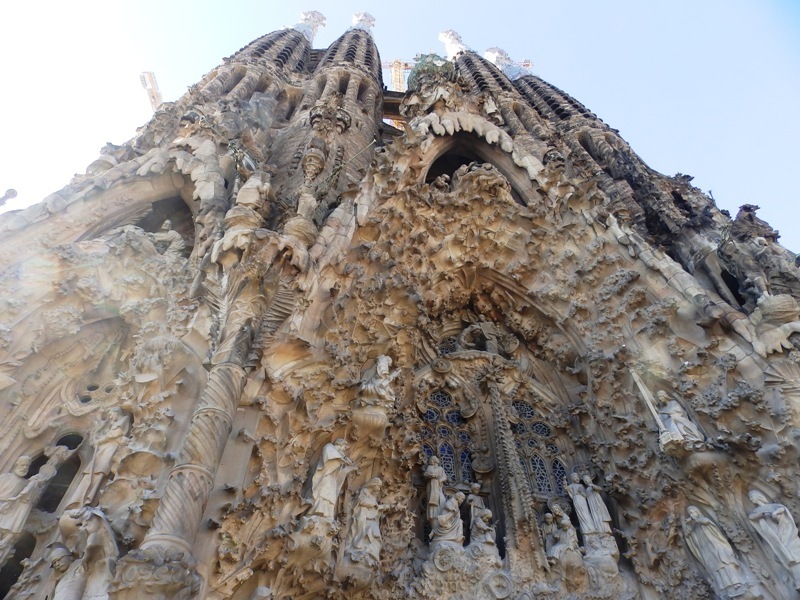 We signed up for the All Barcelona Highlights Tour which was a 5 hour shared motor coach tour of all of the must-see attractions in and around Barcelona. Since this was our first full day in the city, we felt that this was the way to go to get a feel for the city and its highlights. We weren't disappointed. We saw the Basilica de la Sagrada Familia, the waterfront, the Spanish Village, and Montjuic Hill among others. Our tour guide was excellent and she shared many interesting facts and stories during the tour. We would definitely recommend this tour. 50% Familia Sagrada (Gaudi Cathedral), 50% other highlights of south-central Barcelona, including stopping at Montjuic Hill (a lookout photo-op) and Poble Espanyol (a shopping center featuring virtually all types of architecture from around Spain), with drive-bys of other Gaudi houses, Arc De Triomf, and many other major sights. The guide spoke decent English and kept excellent track of the attendees. Time well-managed. Highly recommended! The tour was well planned and organized at a very convenient location. We began with the tour of La Sagrada Familia with Aida. She provided us with an excellent history of the basilica, Gaudi and his life as well as pointing out the essential interpretation of his architecture. We had some free time at La Sagrada Familia before heading out to see the rest of the city. I especially enjoyed Monjuic and the views of the city and visiting the Spanish Village. 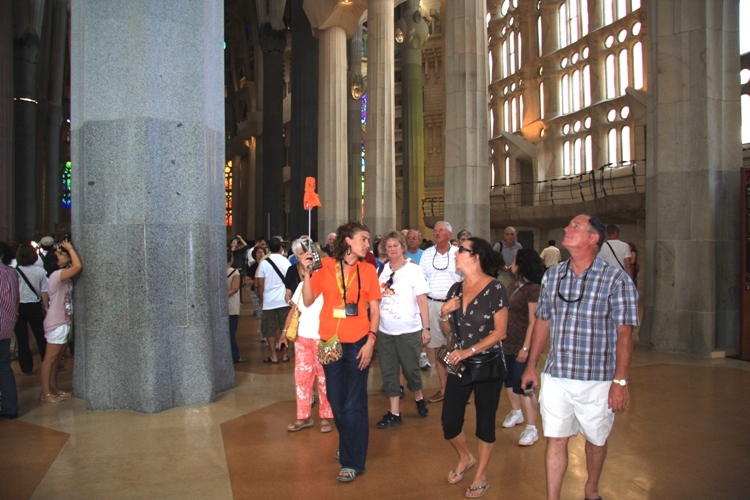 This is a perfect tour to understand the basics of Barcelona with a very competent tour guide.